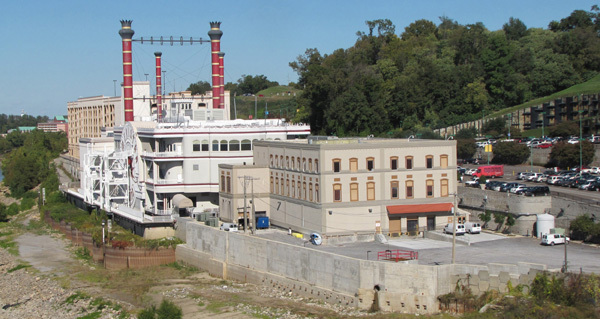 The “Great Wall of Vicksburg” at Ameristar Casino on the Mississippi River in Vicksburg was built out of the necessity to design and construct a slope stabilization wall that would protect the southernmost portion of the Ameristar Casino site from deep-seated landslide movements, which had been occurring at the site since its construction in 1994. 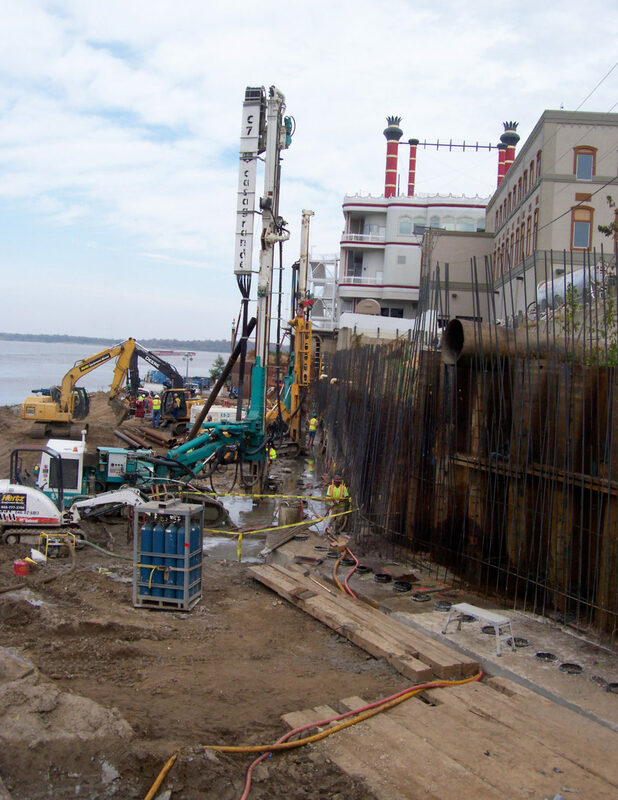 Burns Cooley Dennis, Inc., as a subconsultant to Hayward Baker Inc. who was working for Pinnacle Entertainment on this project, developed an innovative design for the wall incorporating deep micropile and long pre-stressed anchors to resist those landslide forces. 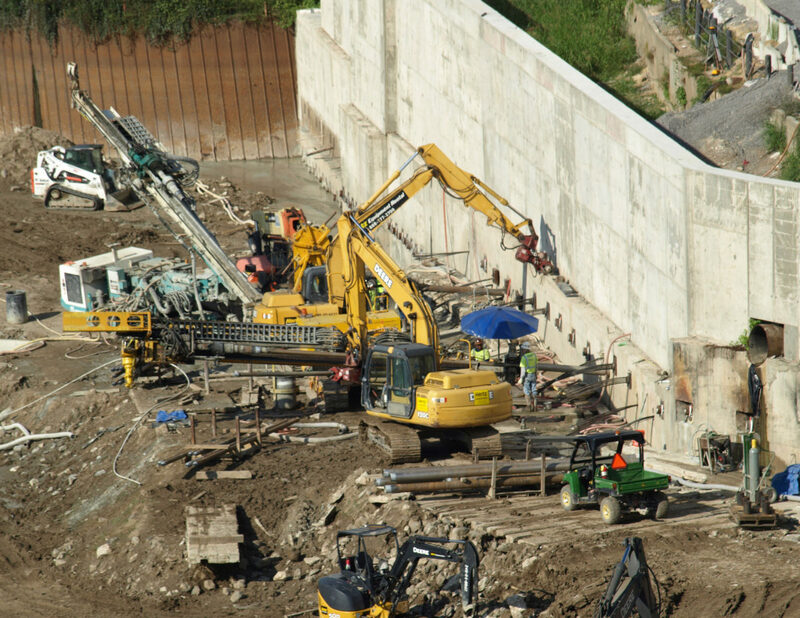 Based on the load resistance provided by the wall when completed, this slope stabilization wall was one of the largest, if not THE largest, slope stabilization walls ever constructed at that time. 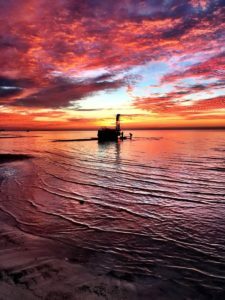 Hayward Baker Inc./Pinnacle Entertainment, Inc.